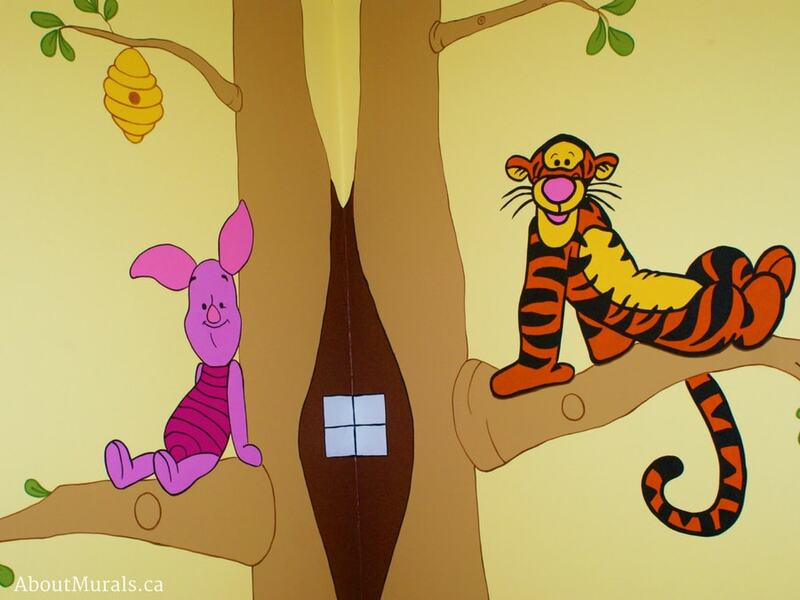 Although this Winnie the Pooh mural was painted in Burlington, Ontario, I also sell adorable kids wallpaper murals that ship FREE in Canada and the USA. They’re super easy to hang and totally removable when you’re ready to redecorate. 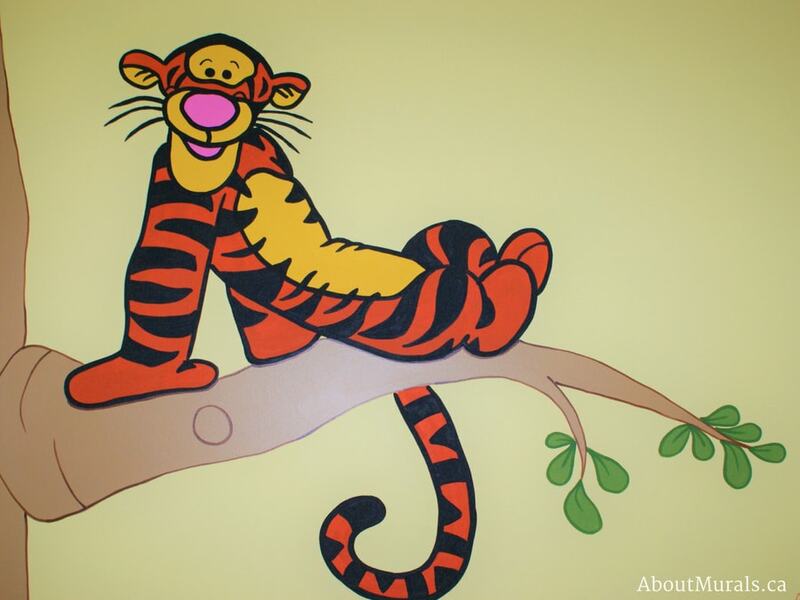 Thinking of having a Winnie the Pooh mural done in your baby’s nursery? 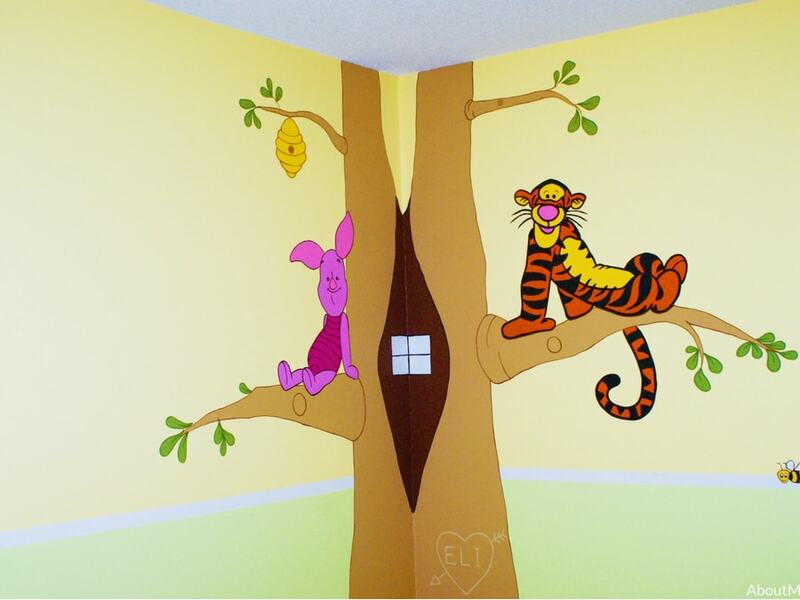 Here are photos of the mural I painted in Eli’s bedroom for your inspiration. It’s pure magic with none of the bother. 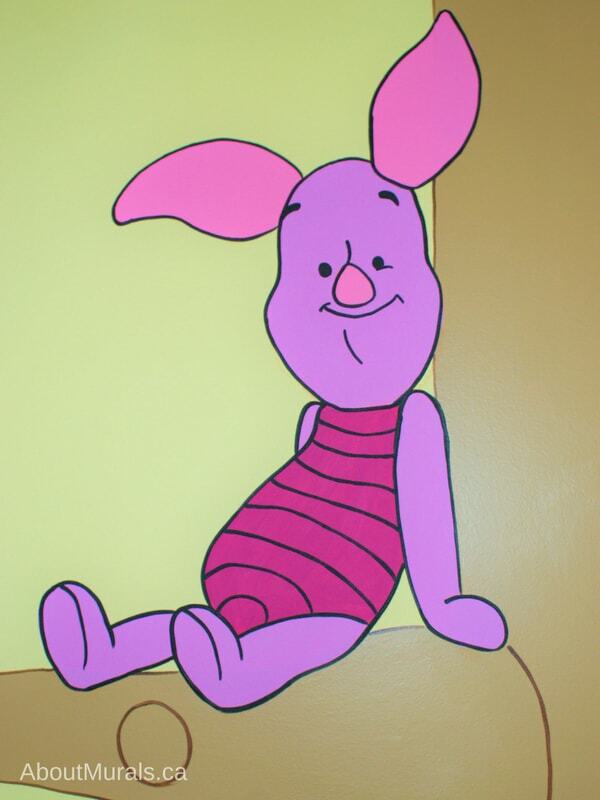 Here’s the star of the mural – Winnie the Pooh! 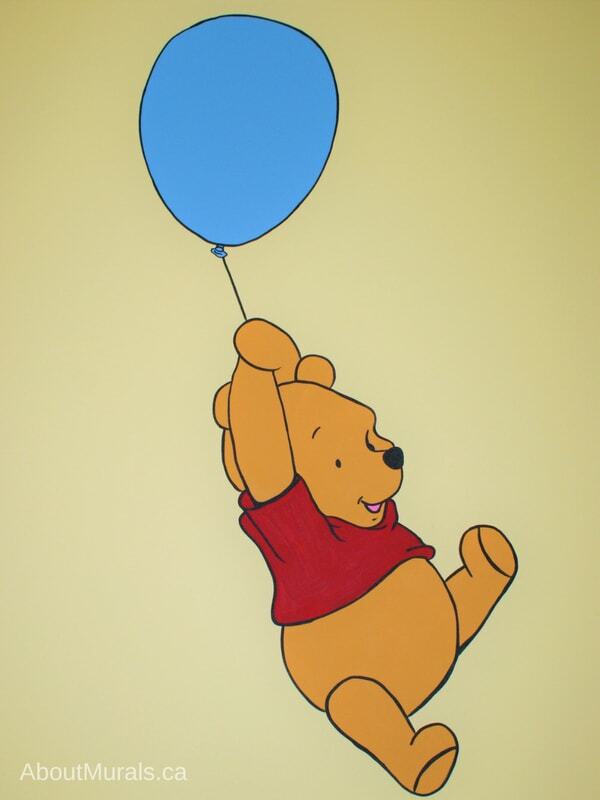 Once the crib is put back into the nursery, baby Eli will be able to look up at Pooh Bear floating by on a blue balloon. 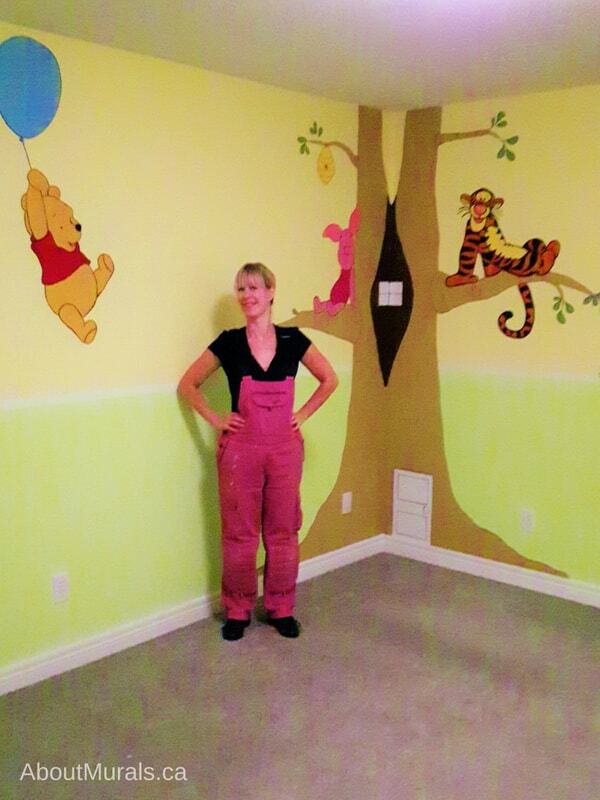 Mama, Mahsa, loved Winnie the Pooh as a child and wanted a cute mural for her baby’s nursery. To personalize the mural, I “carved” baby Eli’s name into the tree (with paint of course) in the shape of a heart. 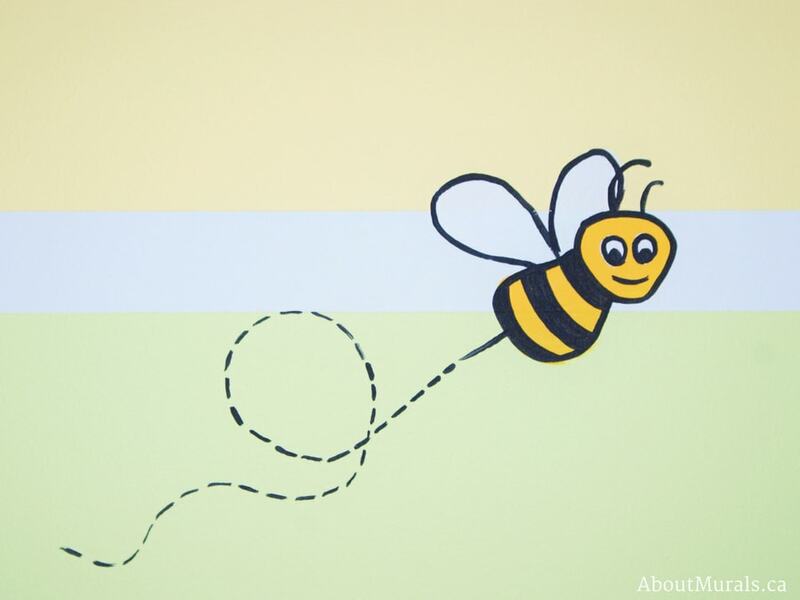 I paint all my murals with non-toxic acrylic paint and no-VOC latex paint, so it’s safe for your kids to sleep in – even on the night the mural is finished! The walls were already painted with yellow on the top, green on the bottom and a white border around the middle. Mahsa thought about painting the white border, but you would have been able to see the edges from the painter’s tape. Instead we used the border to our advantage. 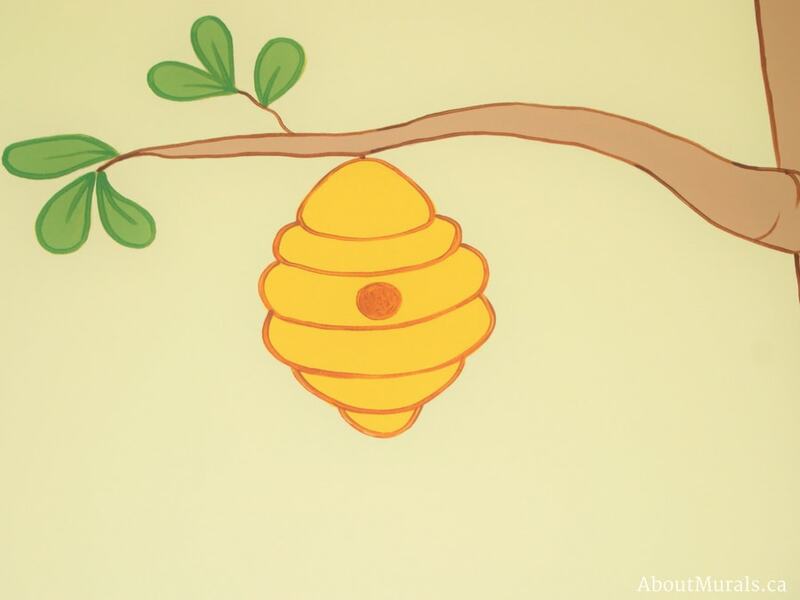 I painted buzzing bees all around the border, turning it into a feature. I’ve been painting kids murals, from Toronto to Niagara Falls, since 2005 and I even painted one for a Mike Holmes TV show! Do you love hot coupon codes, DIY Tips and inspirational photos of pretty rooms? I’d love to share all this with you in my newsletter!